Whip the above ingredients in a blender for a little less than a minute. 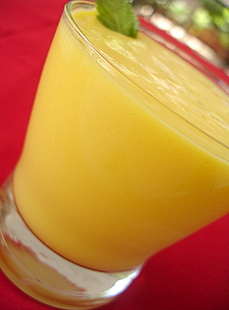 Adjust the consistency of the smoothie according to the variety of mango used. 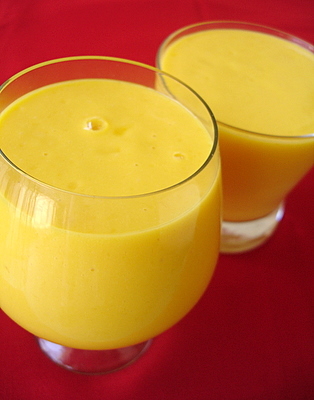 If its a juicy variety, it will yield a thicker smoothie. Add more water and adjust sugar accordingly, for a thinner consistency lassi.